People have been turning to the professionals at Step Ahead Wellness Center for help and guidance about their weight management issues for years! Step Ahead Wellness Center weight loss clinic was started by diet doctor, Dr. Neiman with the belief that we cannot “cure” your weight loss struggles but with the right approach and lifestyle changes, we can help you lead a healthy and fulfilling life. Dr. Neiman has been active in her local community and professional organizations to promote her weight loss approach to achieve a healthier and happier you! She has been nominated by Castle and Connelly Top Doc for years and received her BS at Barnard College, Columbia University and her MD degree at New York Medical College. She is Board Certified in Internal Medicine and associated with many of the Bariatric and Obesity Societies . "I lost 45 pounds and I feel great." 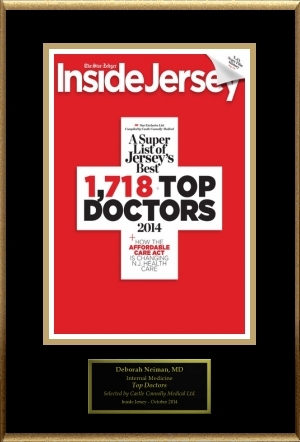 Dr. Neiman named Top Doc, Inside NJ! 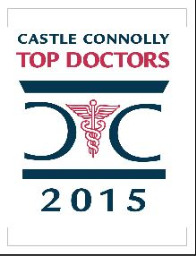 See her link in Castle Connolly Medical. Click here to see Dr. Neiman's profile.